The first cast reveals three 5s, you pick up the remaining seven dice and shake out two more 5s. Victory is close... it's in your hand. Decide you don't want to go with 5s? Fine. Roll all your dice again if you feel the urge. Chance and competition shake together for fabulous family entertainment. 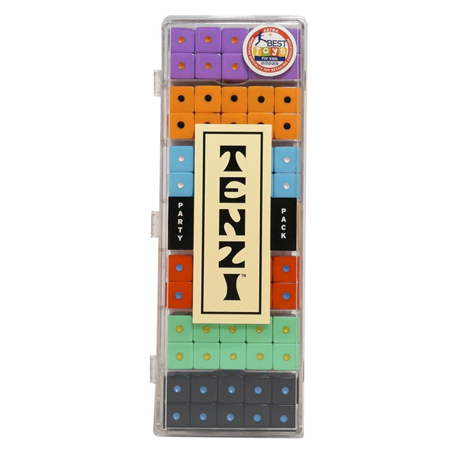 Tenzi is fast-paced fun that quickly draws a crowd, lucky there are six colored sets of dice to pass around. Kids, adults, grandparents, Tenzi involves everyone. Play it once and you'll play it a million times, Tenzi has a way of bringing people back to the table for another round!